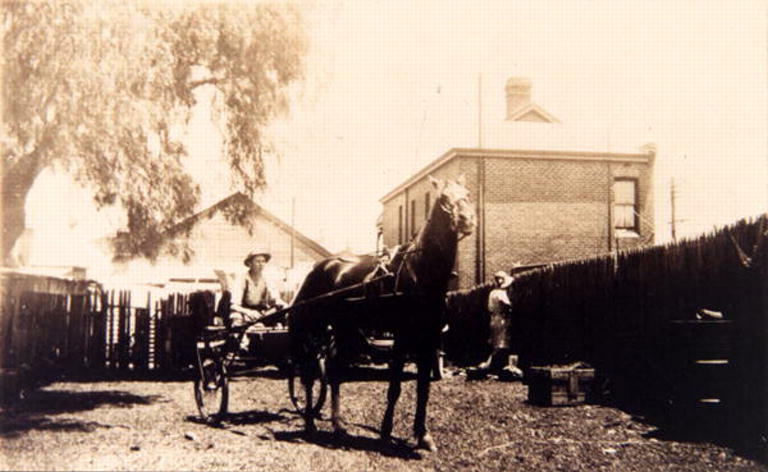 In North Perth, the earliest subdivisions were developed from c.1895 on Swan Location 653. Percy Estate, named ‘for no obvious reason beyond its vaguely aristocractic sound’, was located south of Angove Street. 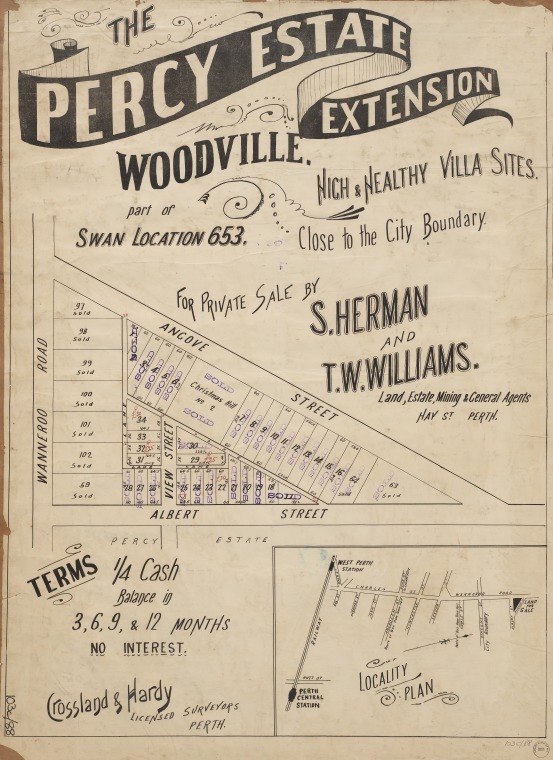 The Toorak & Woodville subdivisions of the Percy Estate included Olive, Peach, Vine and Persimmon Streets. One of the early advertisements from c 1896-7 shows View Street running parallel to Wanneroo road (renamed Charles Street south of Walcott Street) from Albert Street. View Street was renamed Vine Street by the late 1890s, and the street parallel to Albert Street was designated View Street. View street was to become the civic centre of North Perth, while Angove and Fitzgerald Streets were the commercial streets. 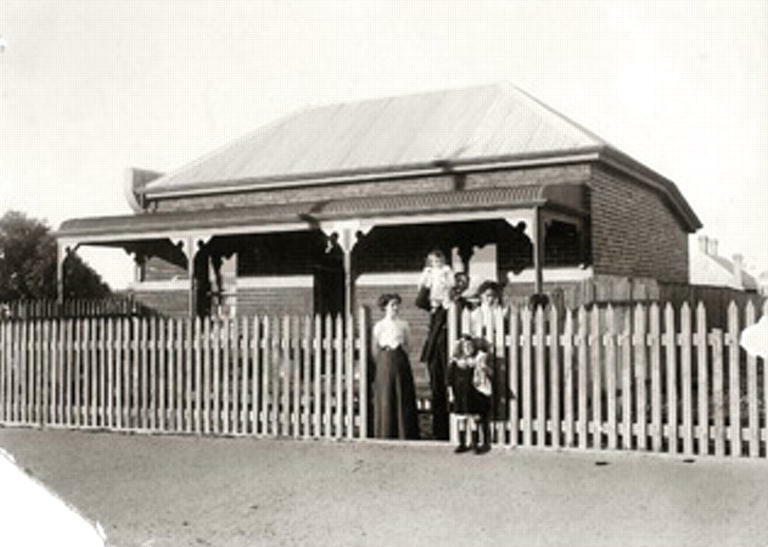 In 1904, only 12% of land in North Perth had been developed, but over the next six years the suburb grew rapidly. The area under housing trebled by 1911, when North Perth was described as ‘‘a thriving municipality of some 5,000 people”. In the central and east wards, closest to central Perth, more than half the land was developed for residential use. other in appearance but common features included tuck-pointed brick, steeply-sloped roofs covered with terracotta tiles or painted corrugated metal, verandahs with turned timber or cast iron columns. Front gardens had a neat public appearance, while in the more productive back garden there was also a night closet (toilet) located at the rear. Septic tanks and deep sewerage were introduced after 1910. The house below in Daphne Street is an example of one of the homes built in the first full decade of North Perth’s development. The photo features Ruby Eames, baby Bonnie and Percy, Hettie and Winifred Summers outside their home. Not all of the blocks in Percy Estate were sold immediately, and some were used as commercial rather than residential lots. The images below show the premises of F.W. 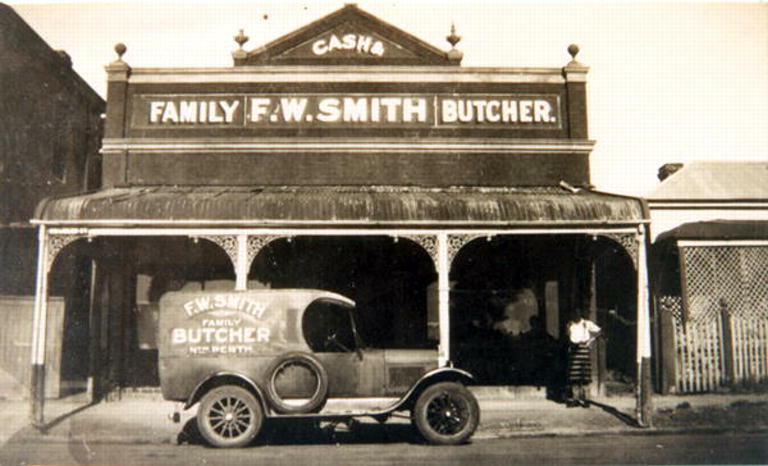 Smith Family Butcher at 312 Charles Street, then their horse and cart at 31 Vine Street (behind the Charles Street premises) which appears to have been a vacant block until the 1930s. Image sourced from the collections of the State Library of Western Australia and reproduced with the permission of the Library Board of Western Australia.